Oh btw, if my calculations are right we should be able to load the Inch DB handle to at least 223# with the new thin solid 5Kg plates I have been working on. That is without the shorty spinlock collars I was going to make and now don't have time to do. If I had those as well would be able to hit at least 255#. Well beyond anything I am ever going to lift on it. I hope the 223# covers what Tanner or Adam or anyone else can do. Adam has a #220 bell with a slick as glass handle. We can hop it off the ground sometimes. If there isn’t much rotation and the handle has a good texture....maybe we can get there . That will be my goal, max out the handle! Competitor list update as well as progress updates. If you are joining us but have not gotten your entry yet please consider doing so. I want to send out a big thanks to sponsors! Your help and donations are greatly appreciated! If anyone else is interested in sponsoring please let me know. Making progress on trophies. I hope I have the coatings done in time on the last few. It is going to be close and some late nights between now and Saturday. Last night I was able to do first coat of copper on 3 more, and acid etch and prime another 2 Sahuaros. 2 more 5Kg plates finished and one more just needs chamfers on the outside. That leaves one left to finish outside diameter turning. 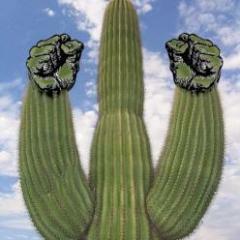 I cleaned up and ground tops of remaining Sahuaro parts and arms last night as well. I had hoped to get them welded but there was not enough time. Have to get welding and priming of remaining ones done tonight in order to have a chance at finishing coatings in time on the last 6 as well as cut the remaining plinths and get those primed. That's a lot of worked involved in the trophies! But I, for one, surely appreciate it. Your contest always has the best trophies! This year, the trophies were a hell of a collaboration. I don't think either Aaron or I thought they would be this much work, but the sneak previews I'm seeing are pretty amazing. I think these are the best ones to date. Big thanks to you too Martin! Progress update. I picked up the equipment from the gym last night to get accurate weights on the 2 DBs and check out the Saxon. I managed to weld up the remaining 6 Sahuaros and get them primed as well as a little patina work on the already completed ones. I cut the rest of the Plinths to height (8x) and got 2 of those deburred and primed. Patina done on 3 plinths and one cactus, those just need clear coats now. I'll try to get some pics tomorrow. I finished turning the 9th of the 5Kg plates and started finish turning on the last and 10th one. Pretty thrashed today. Got to bed about midnight or a little after last night. Elbows, etc barking today. 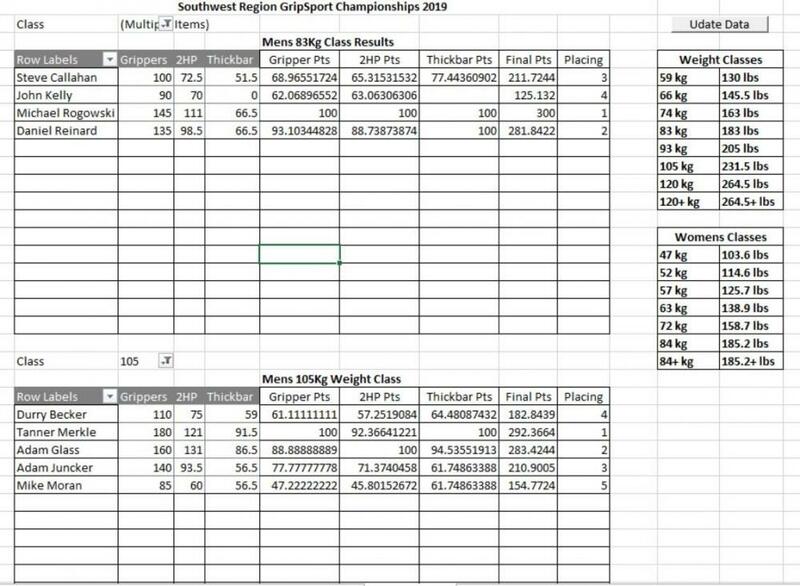 Not expecting any great lifts from myself at this point in the comp but hoping to have everything done and put on a good comp for those that show up. Folks, if anybody is looking to do a double Inch lift after the comp, I can bring mine down, and you can lift mine & Aaron's. Let me know tonight! People said bring it, so I'm bringing it. Inch db that is. Sorry to miss it. Have fun! Masterful work Aaron!!! Nice job!!! Amazing trophies. I am coming next year, so you are just gonna have to do it again. I will get the scores up tonight. Crazy awesome day yesterday. Thanks for posting Aaron!!! Definitely one of the toughest comps in a long time. Really tough lineup of athletes and strong results! 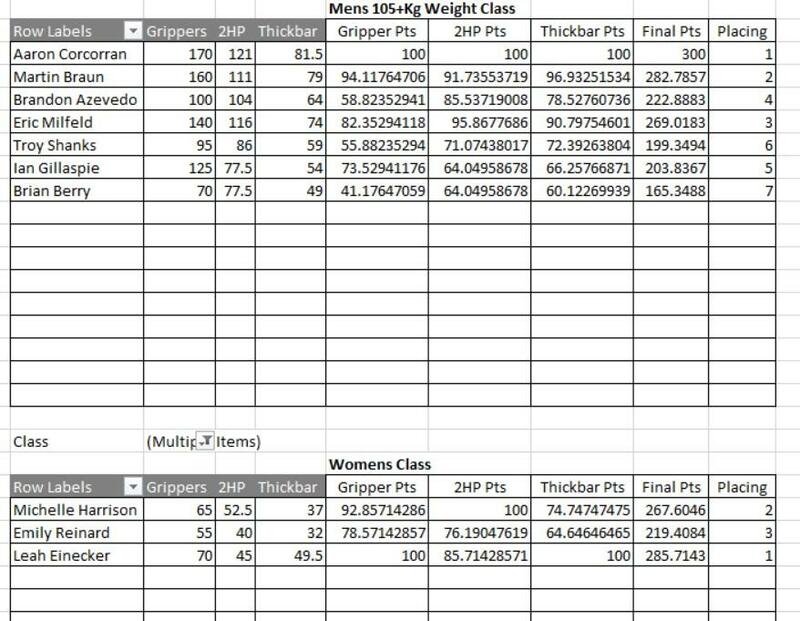 Some nice numbers in every category of weight! Great results and congrats to all the gripsters!